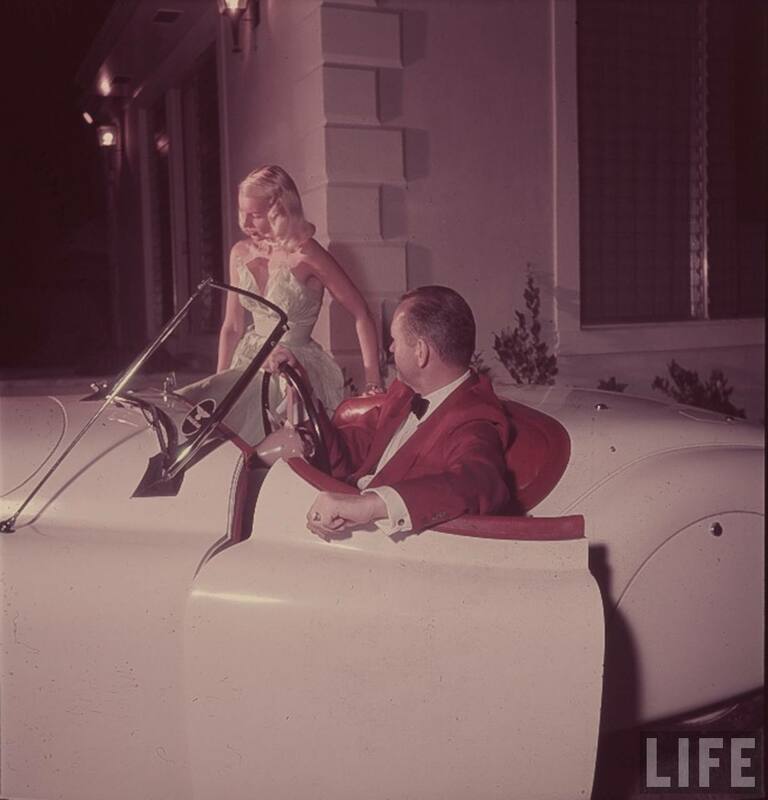 The year is 1957; Eisenhower is inaugurated for a second term as President; Jimmy Hoffa was arrested by the FBI; the Brooklyn Dodgers move to Los Angeles; Toyota export their first cars to the United States and Elvis Presley, Frank Sinatra and Fats Domino are topping the charts. 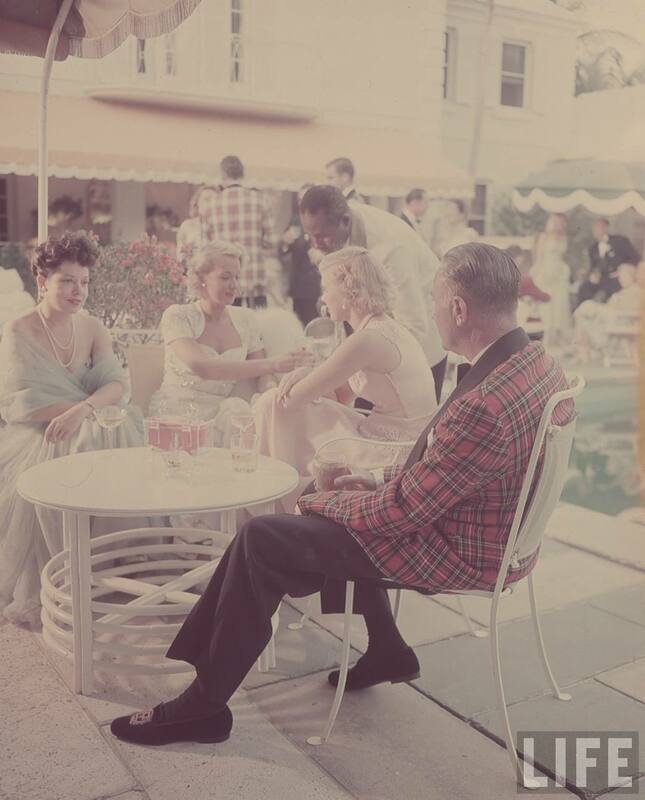 In 1957 a group of Hepcats, Hipsters, and Barn Burners started throwing exclusive parties at the Chateau Marmont, dubbed The Great Plaid Parties. Besides knowing the right people one had to be wearing plaid to be allowed in. 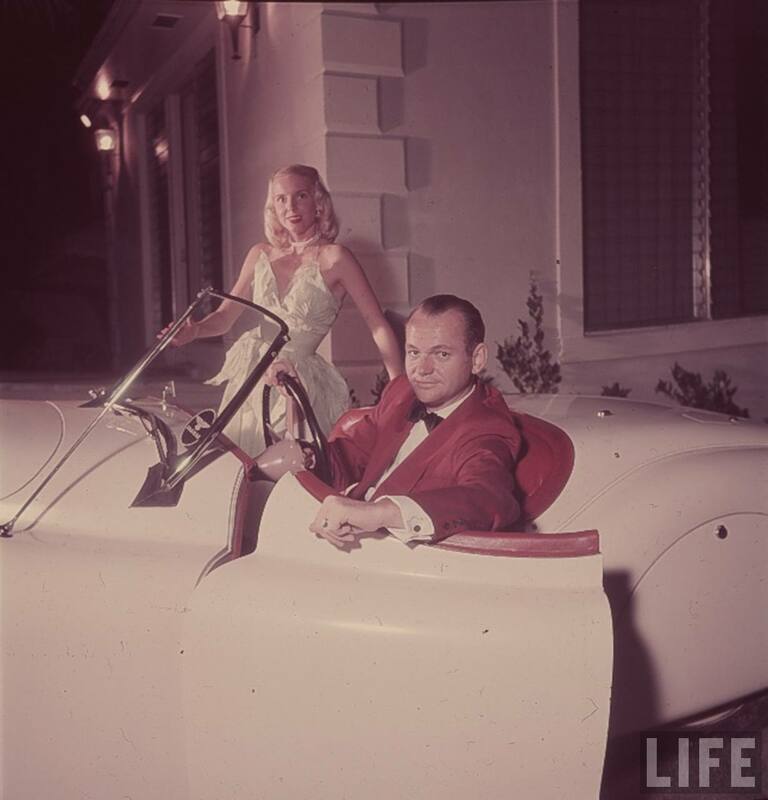 As word spread these parties quickly became a hot spot for Hollywood’s social elite. 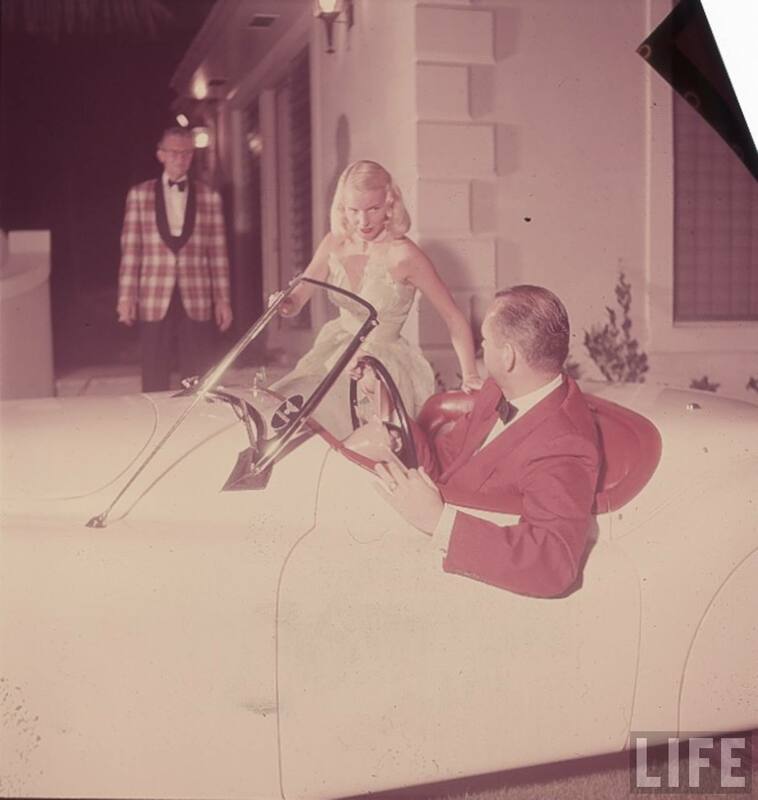 It is rumored that Lana Turner was once denied admission for not wearing plaid. 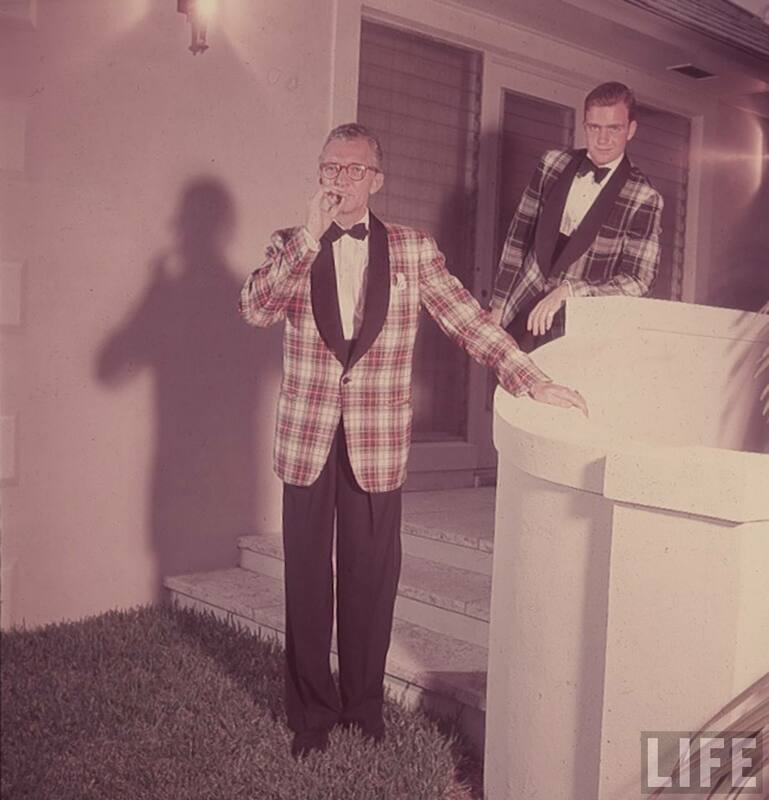 Life reporter John Graham, was the only reporter ever allowed behind the velvet rope. 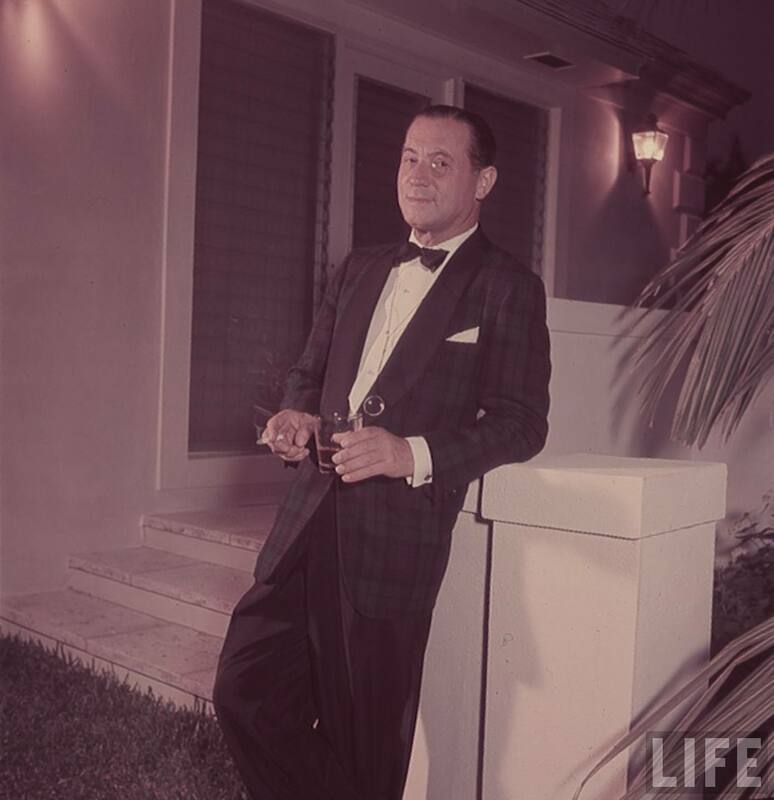 In the October 1957 of Life he published a piece that both revealed the secret happenings of these soirees and ended them. 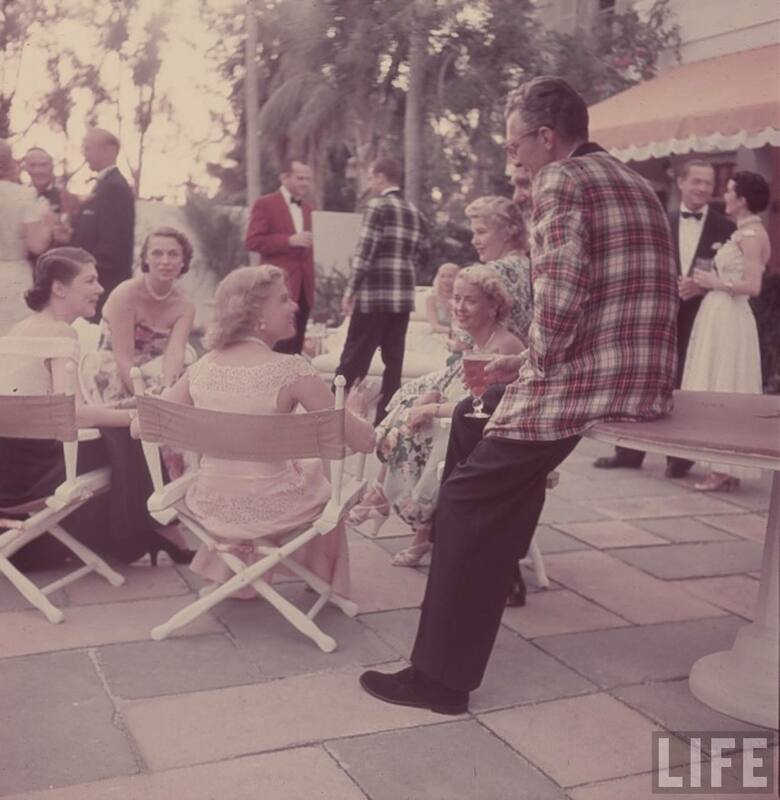 What happened at these parties had long been the subject of much speculation. Louie Armstrong and Sammy Davis Jr. would often share the stage as James Dean (prior to his tragic death in 1955), Katharine Hepburn, Robert Stack, Ingrid Bergman, and Anthony Perkins took to the dance floor. 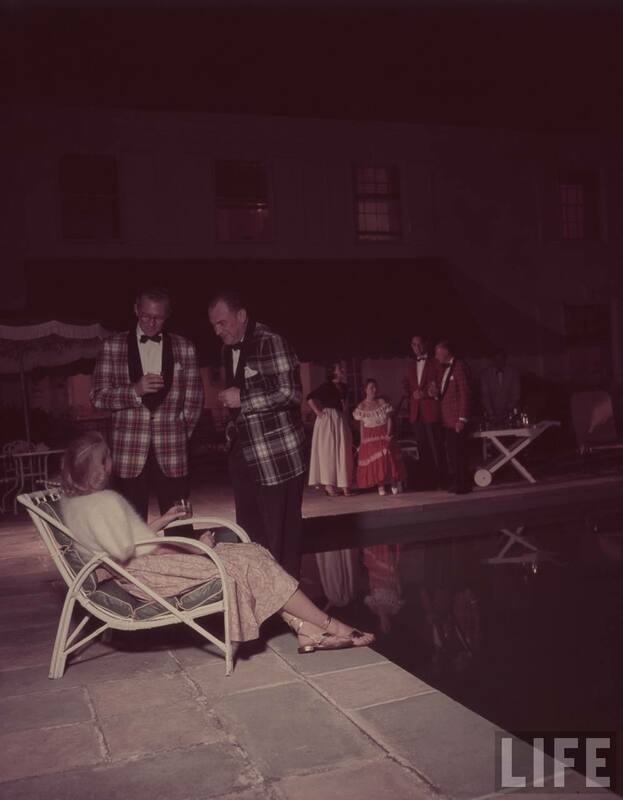 The Great Plaid Parties were where Henry Fonda and Afdera Franchetti first met. 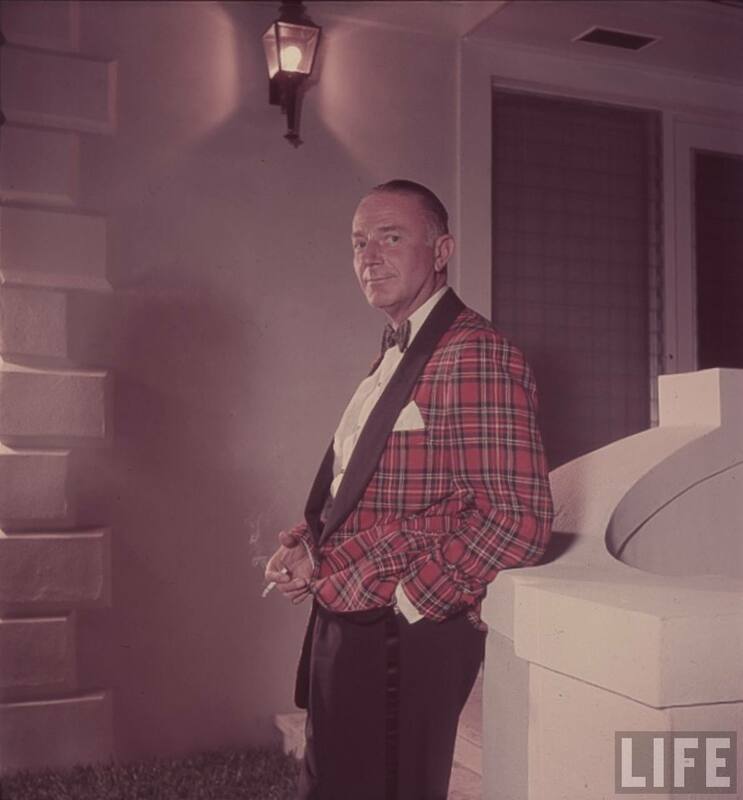 In 1957, plaid may have been accepted among the Hip it was a different story in Middle America where it was still thought of it as the fabric of a counter culture movement; outlaw fashion. Until Graham’s piece the identities of the attendees had been secret protecting them from the scrutiny that awaited. 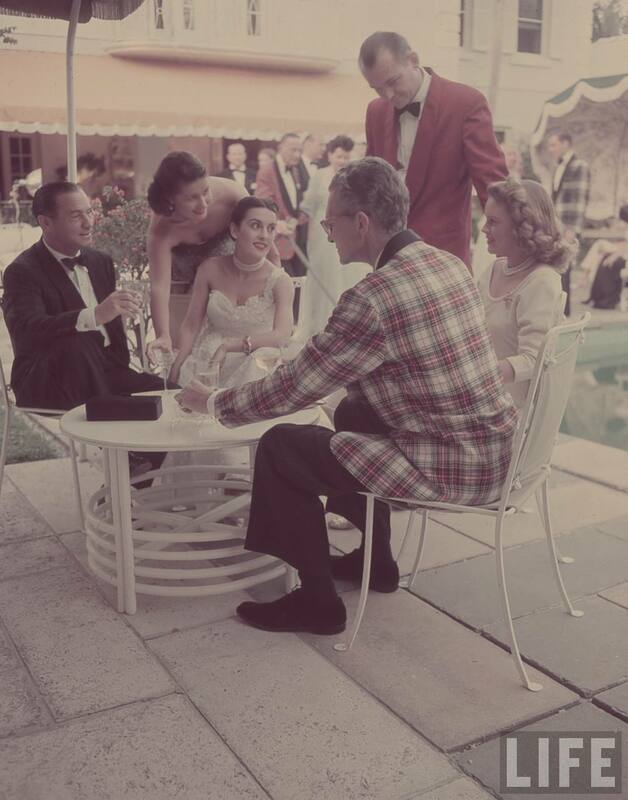 In October the backlash began; many studios threatened to terminate the contracts of their stars unless the Great Plaid Parties were disbanded. Today all that remains are a few photographs and the memories of those few who were there. Those plaid jackets are so fantastic. I love your blog!